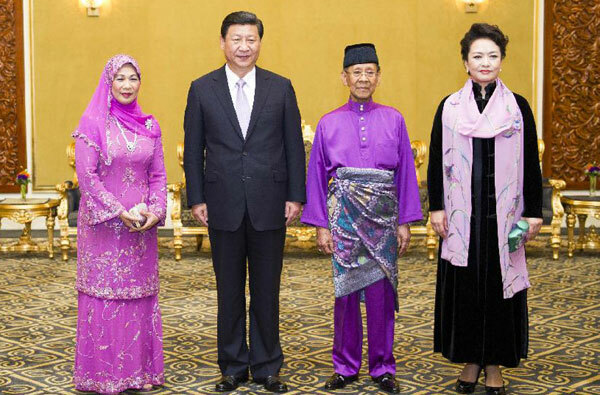 KUALA LUMPUR - Chinese President Xi Jinping said here Friday that his country is willing to work with Malaysia to make greater achievements in bilateral cooperation. 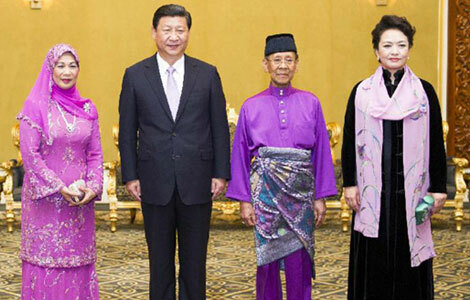 China-Malaysia relations are of great significance to both sides, Xi said while meeting with Malaysian Supreme Head of State Abdul Halim Mu'adzam Shah. With the deepening of economic globalization and social informatization, the destinies of the two countries have become more closely linked, he added. 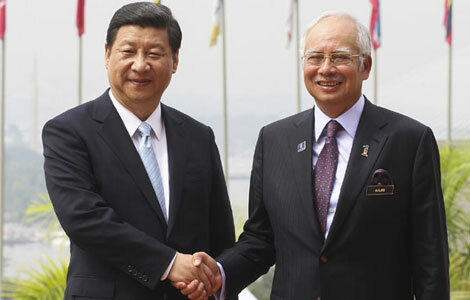 Xi recalled that he and Malaysian Prime Minister Najib Razak agreed earlier in the day to upgrade bilateral relations to a comprehensive strategic partnership. China, he said, stands ready to make joint efforts with Malaysia to push forward their relations towards greater achievements, realize common development, and bring more benefits to the two peoples. 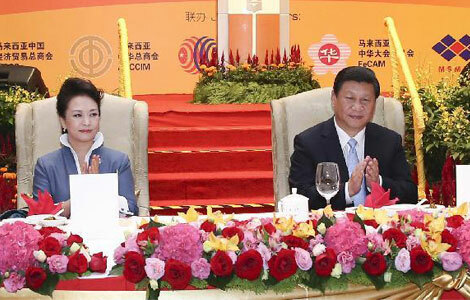 Noting that the next year marks the 40th anniversary of the establishment of diplomatic ties between the two sides, Xi said bilateral ties have withstood the tests of the times and the ever-changing international situation, and maintained steady and healthy development. 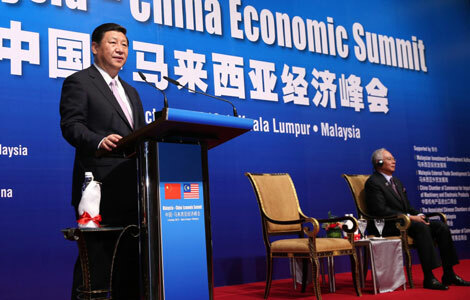 Malaysia has already become China's largest trading partner within the 10-member Association of Southeast Asian Nations, said the Chinese president, adding that their common interests are expanding. Halim, for his part, said Xi's visit will promote the friendly cooperation between the two countries to a higher level, and open a new chapter in bilateral ties. China's economic development, which possesses huge potential, has injected strong impetus into the global economy, he said, adding that cooperation between Malaysia and China now faces even greater opportunities. Halim said he believes that under Xi's leadership, China will remain committed to consolidating its friendly and cooperative ties with Malaysia and other countries in the region. 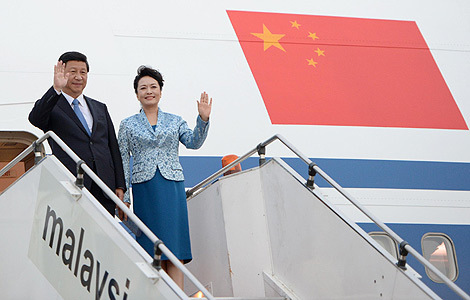 Xi flew in from Indonesia on Thursday for a state visit to Malaysia, the second leg of his maiden Southeast Asia trip since he assumed presidency in March. 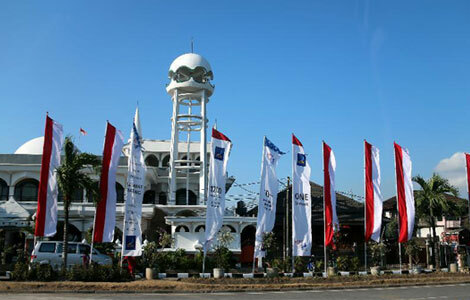 Following his visit to Malaysia, the Chinese leader will travel to the Indonesian resort island of Bali for the 21st leaders' meeting of the Asia-Pacific Economic Cooperation.